AC/DC News: Dude, Where's My Black Ice Tourdate? Dude, Where's My Black Ice Tourdate? So AC/DC finally announced their Black Ice Tour dates but your city was left out, huh? Well, take heart because you are not alone. They haven't announced any dates in Florida yet, either, and Brian Johnson and Cliff Williams live here! Also, we all need to remember that this Fall schedule of shows is only the first leg of AC/DC's 18-month long world tour. So let's be patient and see what the boys have in store for the rest of the best fans in the world, eh? "AC/DC will perform in Australia in 2009 at Telstra Dome in Melbourne and ANZ Stadium in Sydney." No doubt AccaDacca will hit several more cities down under as well as visit all their great fans in New Zealand in the coming year, too. Of course, some longtime fans have never seen the band perform live in person. Such is the case of Mike Grant, who writes about his AC/DC story in "That's The Way I Want My Rock N Roll!" If you still want to read more about fans and AC/DC today, I suggest you check out "She's Got Balls" at The Soundtrack Of My Life. It's a brief, but poignant story about how one guy got introduced to AC/DC music. Speaking of AC/DC's music, it would be remiss of me not to mention Rolling Stone's Fall preview of the Black Ice album. Though there's not that much to it, there is some good background information about how the new music was made from producer, Brendan O'Brien. By the way, what's your take on War Machine versus Rock N Roll Train? Do you favor one track over the other now that you've heard them both more than a few times? I hope you'll leave your opinions in the comments section below. I'd also be interested to know what other fans think the song War Machine is all about. Does it have anything to do with the war in Iraq? Has AC/DC made another political track like Burnin' Alive from the Ballbreaker album? Lastly, for today, Easy Fever provides another history lesson for AC/DC fans who want to know more about the roots of our favorite band. 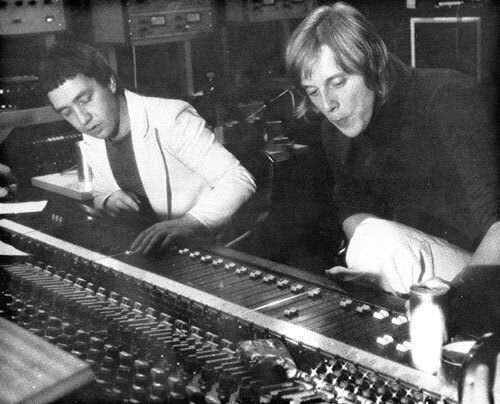 For those that don't know already, The Easybeats were Australia's answer to The Beatles and two of their leading members were George Young and Harry Vanda, who later went on to produce most of the classic AC/DC albums of the 70's. Great read and update, Jon. Thanks !! Greetings from a spanish AC/DC fan! Any Idea of when the European dates will be announced? There's rumours that they have booked a Hotel in Bilbao for the end of March. I love both Rock N Roll Train and War Machine!!! Drum beats are very powerful, I think in this album, even more powerful in War Machine which I like. Both songs are good but I like the hardness of War Machine. I must say that your blog really has added a whole new dimension to the Bon Scott Fan Club. I sometimes wonder where you find all the interesting stuff, pics included. I guess you have good sources and a pretty good idea where to look in general. Keep up the good work!!! And as for the comparison between the two songs released so far, I think "War Machine" is the winner, despite the fact that I haven't listened to it as many times as I have listened to "Rock 'N' Roll Train". I don't know what the song's all about but, I really haven't paid the lyrics any attention yet. War Machine is good but not as good as Rock n' Roll Train, which is a bona fide classic! They're both equally good for mine. At first listen I like War Machine better because its a bit different, but RnR Train is classic AC/DC, so I think it'll win out in the long run. Agree that War Machine is harder, so would love to hear it on CD. IMHO, RnRT is classic AC/DC to play on the radio. Everybody can sing with it, and it will most likely bring many new fans on board. War Machine is a bit more for people who are already fans. 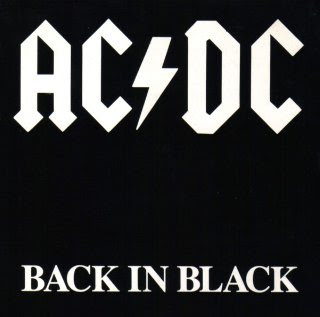 I'm not sure how to explain it, but just like with the BiB album, there are songs on there that get played on the radio and everybody knows them and sings along with them, but they're not necessarily AC/DC fans. Also, like with Razor's Edge, I don't know anybody who doesn't know Thunderstruck, but when you tell them about the rest of the album they're like "Huh? Mistress? Christmas? AC/DC made a Christmas song?......." Either way, BOTH songs are really good. Can't wait for the album. And the chorus from RnRT is now stuck in my head, too! Thanks for the link of "She's Got Balls". Very cool site! I'll be sure to check it out often. Black Ice Album Leaked Online! Rock N Roll Train - Full Video! For whom he played the drums. 'Til uniting with the Young's. Is what these lads became. My world came tumbling down. A special Rock 'N' Roll star. In my memory he will stay.